Its 09/09/09 and so the awaited conference by Apple, is finally going on, and Steve Jobs is back! He just announced the iTunes 9 version, with some excellent additions to the previous version. Genius mixes – automatically plays songs from your library that go together! Its emerged from the genius database that Apple collected. New syncing options – You can sync with artists, genres etc. Also for photos and movies! Bonus material for movies – Similar to DVD bonus features, but also includes interactive material. Gift or share – You can gift the music, or share on facebook or twitter! Add it to a wishlist too. 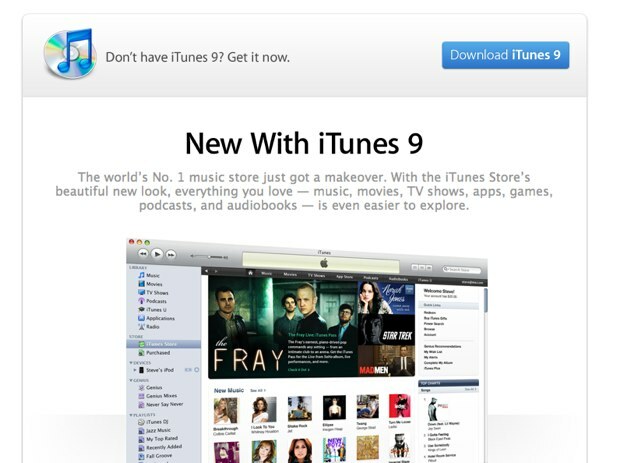 There are quite few other features too, and the iTunes 9 is already available for free download. You can do that from your iTunes straight away as you might have got the message already that iTunes 9 is available for upgrade. This was actually released just to make the palm pixi down.